The world of video game emulation has always been a bit, well, shady. As far as much of the gaming industry is concerned, unlicensed emulation is little more than piracy. Yet, despite numerous legal challenges over the years, the emulation scene has largely managed to flourish above ground. Sadly, with 1980’s nostalgia and retrogaming very much in vogue, things may be about to change. Back in July, Nintendo started throwing its legal weight around again and filed huge lawsuits against two ROM sites, namely LoveRETRO and LoveROMs. Both sites hosted large collections of vintage games, including many Nintendo titles from the NES and SNES consoles. Both sites have now been taken offline. We have decided to make a new start. We will continue to be passionate retro gamers and will keep doing cool stuff around retro games. But you won’t be able to get your games from here for now. Nintendo’s bully boy antics once again raises that inconvenient question: how legal is it to emulate classic games? Well, the question has two main facets to it: the emulator app being used, and the game or piece of software you’re wanting to emulate. Legally, emulation programmes seem to fall under the terms of fair use. So, as long the emulator doesn’t reuse any code from the system it’s attempting to mimic, and any reimplemented code is purely the product of reverse engineering, all is good. We know this from when Sony went after the makers of two commercially-available emulators for the PS1 nearly two decades ago. Luckily, Sony lost. However, unlicensed emulators still remain something of a legal grey area that could be challenged again in court. So, for example, Dolphin can successfully emulate the GameCube and Wii consoles without using any of Nintendo’s code. In contrast, the PS2 emulator PCSX2 and the Amiga UAE emulators require a copy of the original system BIOS in order to work. To get one, you’ll need to dump the required file(s) from a PS2 or Amiga that you actually own. Fortunately, for the Amiga, you also have the option of buying the Kickstart ROMs relatively cheaply from copyright holder Cloanto. 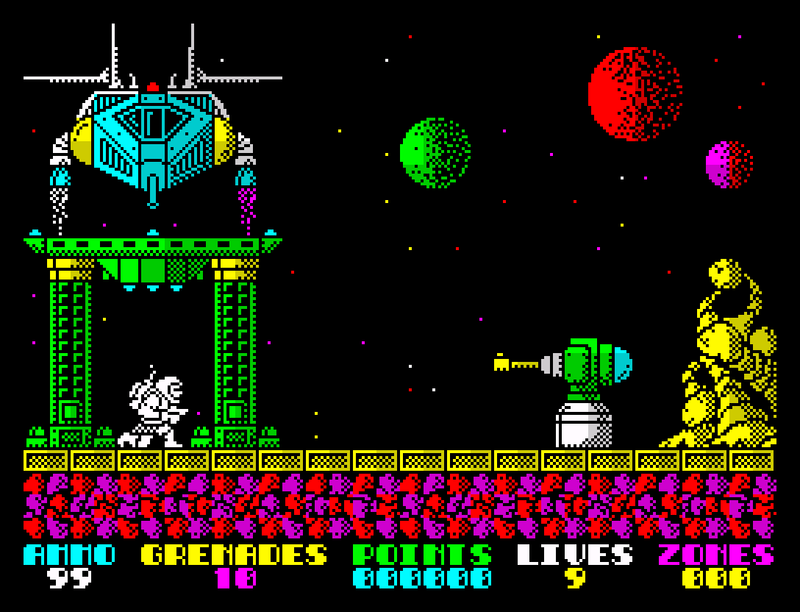 Interestingly, the ZX Spectrum and Amstrad CPC computers seem to be among the few systems where the rights holders have given permission for the original BIOS ROMs to be used and distributed freely. Well, at least, that’s according to some possibly dated information over on the World of Spectrum site. Right, let’s talk about game ROMs, which is the real sticking point when it comes to the legality of emulation. The vast majority of video games are still copyrighted materials, regardless of their age. Copyright duration may vary from country to country, but it’s generally longer than even the oldest published video games have been around. In the UK, for example, copyright lasts for 70 years after release, while in the United States it’s 95 years from publication or 120 years from creation, whichever is shorter. Ultimately, sharing or distributing old video games is unlawful without express permission from the rights holder. It doesn’t matter if the game has been around for 30 or 40 years, how little commercial value it now has, or even if it’s now classed as “abandonware”. And, by the way, the term abandonware has no recognition in law. It’s not all bad news though. If you actually own a legit copy of the game, then ripping that game for use on an emulator is probably legal. 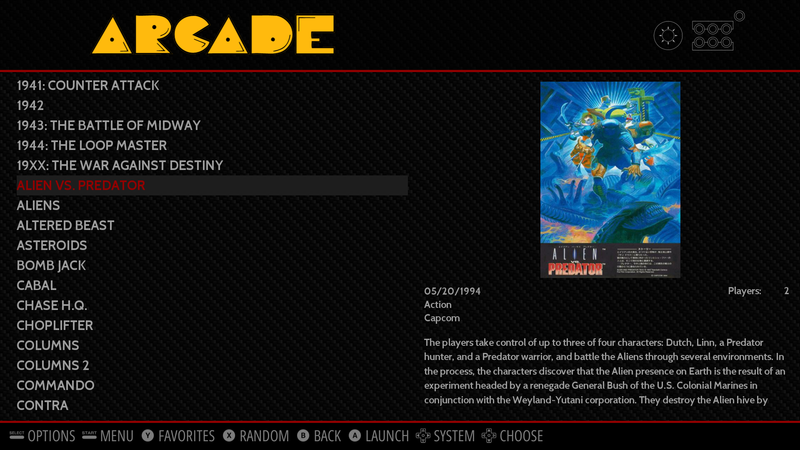 As is circumventing any copy protection for said game if the storage medium is now considered to be obsolete. Once again, this another legal grey area that comes under the terms of fair use, being able to make a backup copy of something you own, and the preservation of old software. It’s worth noting that, despite what many people think, possessing a legit copy of a game does not entitle you to download an illegally-hosted ROM from the internet. The same goes for downloading a BIOS ROM if you own the corresponding hardware. However, there are some games that have been handed over to the public domain or made freeware by their creators. 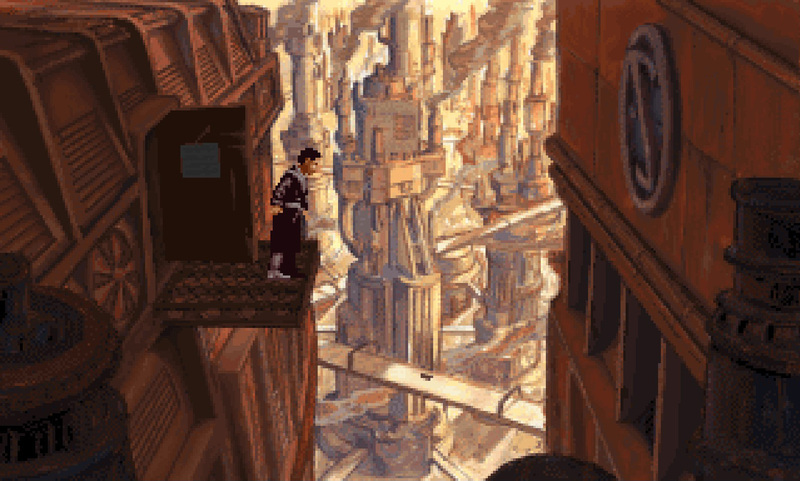 A good example of that would be Beneath A Steel Sky, a classic point-and-click adventure from 1994. Copyright holders Revolution Software released the original version of the game as freeware in 2003. Several other early 90s adventure games are now also available as freeware and can be downloaded at no cost from the ScummVM website or the GOG store page. There are also websites, such as World of Spectrum, AMI Sector One, and Lemon64, who have actively sought and acquired written permission to distribute many or all of the games they host. And there are, no doubt, other examples out there. The classic, 1994 point-and-click adventure Beneath A Steel Sky running on ScummVM. So what’s the takeaway from all this? Well, while most emulations apps are technically legal, downloading ROMs from abandonware and torrent sites is generally not. But most retrogamers probably already know or suspect this and simply don’t care. And, I basically count myself among these people. For me, emulation is the only practical and convenient way I can revisit many of the favourite games from my childhood. Of course, you can still find old machines and classic games second hand, but they’re becoming increasingly sought after and we’re getting to the point now where retro hardware and media are beginning to degrade and fail. For example, Commodore Amigas can be expensive to acquire and often immediately require costly and time-consuming repairs and modifications. Also, old disks, tapes, cartridges, and CDs aren’t guaranteed to work anymore, even when kept in good condition. And buying old arcade cabinets simply isn’t realistic for most people. To be fair, there is an increasing number of ways to play classic games legitimately, including licensed mini-consoles and retrogame collections for consoles, PCs, and mobile devices. But these only cover a tiny fraction of all the titles produced across a range of home computers, consoles, and arcade machines during the 1980s and 1990s. What about the less well-known or more obscure games, or specific versions or ports from less popular or more exotic platforms? Even Nintendo’s own NES and SNES Classic Editions only come with a measly 30 or 21 games on them from a library of hundreds and hundreds. These official re-releases also often expect premium prices for very old games that are sometimes poorly emulated, lack additional features (e.g. savestates, controller reconfiguration, etc), and are locked into a single platform such as the PS4, Xbox One, or Wii U. More to the point, given how fast the market and technology move on, how long will these versions be available and supported for? How many times will we be expected to keep repurchasing the same ancient games? There are also complicated licensing issues surrounding many classic games that means it’s unlikely they will ever be re-released. And other rights holders lack either the interest or the wherewithal to make their games available again. There is a very real danger of many classic games being lost forever. And, while most ROM sites are clearly in violation of copyright laws and a few are even decidedly dodgy, they’re still doing a helluva lot more to protect the legacy and history of our beloved medium than companies like Nintendo, who seem to be actively working against video game preservation – hell, just read the FAQ on their website.